So off I went and started creating my own brush, it was a little difficult at first, but with so many settings I didn't know what each one did or how it really affected the look of the brush. But luckily Procreate has a great manual and I was able to figure out what each setting did. After a few hours of playing around with settings and testing it out. I had my very own brush. PERFECT for my needs! 2. Put the brush in a cloud sharing app like Dropbox or download it using your iPad. Just make sure it's accessible on your iPad. 3. Locate the file on your iPad. If you get the message that says "No Preview Available" it's OK.
4. Click the three little dots in the top right corner, or if you see "Export" click on it. 7. Then open Procreate and go to the brush menu. 8. At the bottom you will see "Imported" folder, that's where the new brush is saved. Select and enjoy. 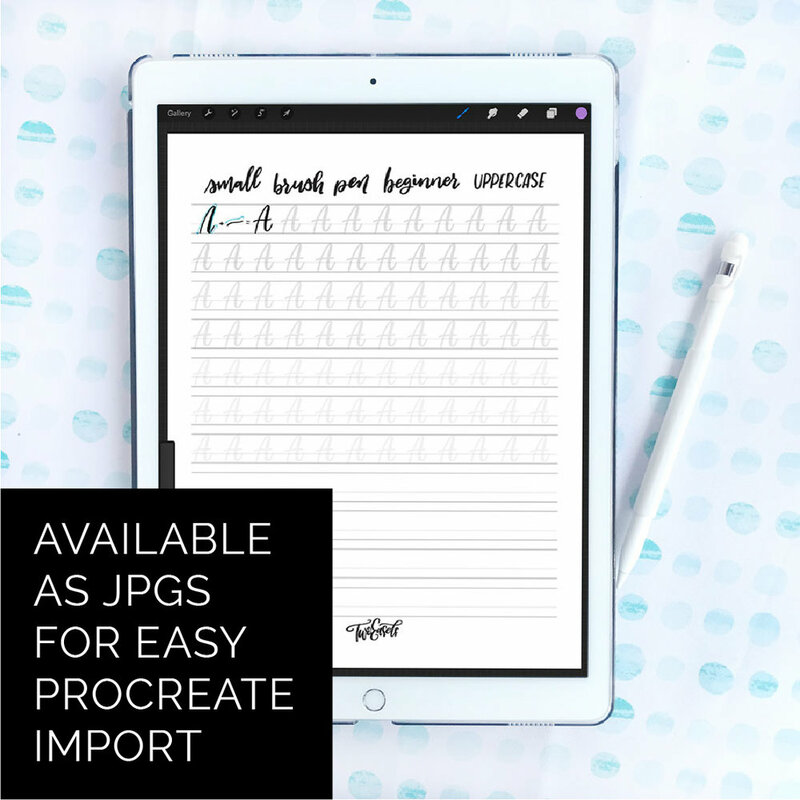 Grab the Procreate Brush here! Subscribe to my newsletter and get the brush FREE! Success! Now check your email to confirm your subscription and grab your download. Make sure to check SPAM, Junk or Promotions folders. I hope you enjoy this brush! Tag me in your Instagram posts @toweasels with your creations.